The CBRS Alliance, which is the industry organization focused on driving the development, commercialization, and adoption of "OnGo" shared spectrum solutions, is working on a new release of specifications that will support OnGo over 5G. Specifically, CBRS Alliance Release 3 will address support for 5G deployments using shared spectrum in the 3.5 GHz band. The new specifications from the CBRS Alliance will complement 5G New Radio (5G NR), the new air interface developed by the 3rd Generation Partnership Project (3GPP) to support the wide variety of 5G services, devices, and deployments. The latest release of 5G NR is expected to support operations in Band 48 and will improve the performance, flexibility, scalability and efficiency of mobile networks while enabling industries to get the most out of the available spectrum. Completion of Release 3 by the CBRS Alliance is expected to conclude in Q4 2019, enabling OnGo 5G service availability in 2020. The FCC adopted new rules that to promote the availability of high-band millimeter wave spectrum . The airwaves in the combined Upper 37 GHz and 39 GHz bands are the largest amount of contiguous spectrum available for wireless service in the millimeter wave bands — 2,400 megahertz in total — while the 47 GHz band provides an additional 1,000 megahertz of spectrum. Adopts a pre-auction process that allows incumbent licensees to rationalize their holdings. The incentive auction of these spectrum bands will have two phases: a clock phase in which bidders may bid on generic license blocks, and an assignment phase in which clock phase winners may bid on specific frequencies. Incentive payments will be offered to incumbents who choose to relinquish their spectrum usage rights to make new licenses available. New entrants and participating incumbents may bid for new licenses. Incumbents that bid for new licenses may use “vouchers” equivalent to their existing holdings for credit toward the amount they bid in the auction. For an incumbent that chooses not to relinquish all its existing rights, the Report and Order provides methods to modify the incumbent’s licenses so that they align with the band plan and service areas adopted by the Commission. FCC Chairman Ajit Pai stated: "Pushing more spectrum into the commercial marketplace is a key component of our 5G FAST plan to maintain American leadership in the next generation of wireless connectivity. 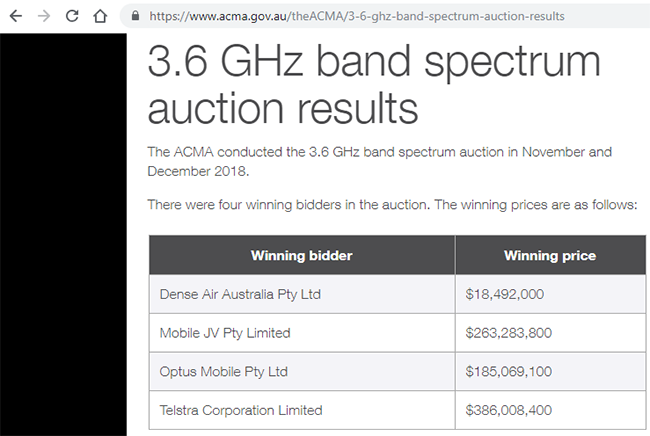 Currently, we’re conducting an auction of 28 GHz band spectrum, to be followed by a 24 GHz band auction. And today, we are taking a critical step towards holding an auction of the Upper 37, 39, and 47 GHz bands in 2019. These and other steps will help us stay ahead of the spectrum curve and allow wireless innovation to thrive on our shores." The Australian Communication and Media Authority completed its 5G auction in the 3.6 GHz band. All 350 lots available in the auction were sold, realising total revenue of approximately AUS $853 million, equivalent to almost $0.29/MHz/pop. The four auction winners are:Dense Air Australia Pty Ltd won 29 lots for $18,492,000. Mobile JV Pty Limited (a joint venture arrangement between subsidiaries of TPG Telecom Limited and Vodafone Hutchison Australia Pty Limited) won 131 lots for $263,283,800. Optus Mobile Pty Ltd won 47 lots for $185,069,100. Telstra Corporation Limited won 143 lots for $386,008,400. "This spectrum is recognised internationally as a key band for 5G services. Timely release of 5G-compatible spectrum will facilitate the early delivery of next generation 5G services to the Australian public and industry,’ said ACMA Chair Nerida O’Loughlin. Licences won at auction will commence in March 2020 and will extend until 13 December 2030. However, arrangements exist to enable earlier access to the band, provided that no interference is caused to existing licensees. China's Ministry of Industry and Information Technology issued trial 5G licenses to China Telecom, China Mobile and China Unicom. 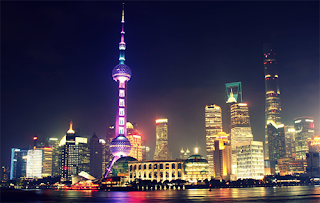 China Mobile obtained trial licenses for the 2600MHz and 4900MHz bands. The Ministry of Industry and Information Technology said the operators should now conduct base station 5G system tests, and carry out interference coordination work between 5G system base stations and other radio stations in the same frequency band, adjacent band satellite earth stations, etc. 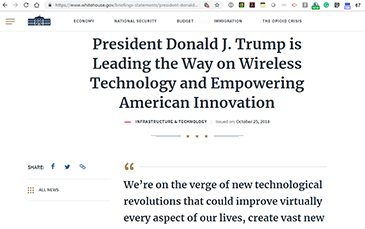 President Trump issued a memorandum directed the Department of Commerce and federal agencies to develop a National Spectrum Strategy. The goal is to provide a comprehensive roadmap for policy makers on all levels. Germany's Federal Network Agency has prepared draft rules for a 5G spectrum auction next Spring. The draft rules include provisions on coverage requirements, service providers and national roaming requirements. The draft will be presented for discussion next week to the Advisory Board. Consultation with market participants will follow and a final decision is to be made in November. The auction is anticipated to occur during the first quarter of 2019. The draft of rules for the 5G frequency auction is posted here. 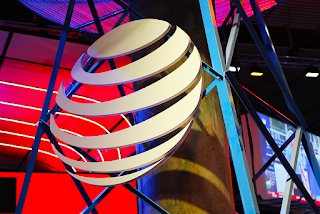 AT&T was the largest winning bidder of licenses in Mexico's auction of 2500-2690 MHz spectrum. In total, AT&T will pay MX$1,400,101,288 (US$75.881 million) in both FDD and TDD for the 20-year license. Telefónica will pay roughly half as much. Spectrum Frontiers Auction Procedures – setting the rules for auctioning Upper Microwave Flexible Use Licenses in the 28 GHz (Auction 101) and 24 GHz (Auction 102) bands. The auction of the 24 GHz band (Auction 102) would employ a clock auction format, which would allow bidding on generic blocks in each PEA in successive clock bidding rounds. The bidding for the 24 GHz band (Auction 102) will be scheduled to commence after the conclusion of bidding in Auction 101. Making 39 GHz Band Auction Ready – transitioning existing spectrum holdings in the 39 GHz band (38.6-40 GHz) to a new flexible-use band plan by offering new licenses for contiguous spectrum in the band. Wireline Infrastructure – an order to reform the pole attachment process, allowing one-touch, make-ready for most pole attachments. The FCC may also issue a Declaratory Ruling to prohibit state and local moratoria on telecommunications facilities deployment. The Federal Communications Commission has identified up to 500 megahertz of mid-band spectrum between 3.7 and 4.2 GHz that could be open for 5G wireless services. A newly adopted FCC order sets forth several steps toward making more mid-band spectrum available for terrestrial fixed and mobile broadband use. Specifically, the Order will require Fixed Satellite Service earth stations operating in the 3.7-4.2 GHz band to certify the accuracy of existing registration and license information and will collect additional information from space station licensees on their operations in the band to assist the Commission and commenters in developing a clearer understanding of how the band is currently being used. The Commission will then use this information to evaluate the most efficient way to drive the deployment of mid-band spectrum for mobile services and more intensive fixed services. The FCC said its Notice also proposes to add a mobile (except aeronautical mobile) allocation to all 500 megahertz in the band and seeks comment on various proposals for transitioning part or all of the band for flexible use, working up from 3.7 GHz, including market-based, auction, and alternative mechanisms. The Notice also seeks comment on allowing more intensive point-to-multipoint fixed use in some portion of the band, on a shared basis, working down from 4.2 GHz and on how to define and protect incumbent users from harmful interference, and it seeks comment on service and technical rules that would enable efficient and intensive use by any new services in the band. "Our focus here is on making more intensive use of the 3.7-4.2 GHz band, commonly called the C-band. To help us figure out the best way forward, we authorize the collection of additional information from the band’s current users. That data will help us figure out how to accommodate the needs of incumbents, which are primarily using the band to provide Fixed Satellite Service. It’ll also enable us to free up more spectrum for advanced wireless services," stated FCC Chairman Ajit Pai. Ofcom, the official telecoms regulator in the U.K., completed the auction of 190 MHz of spectrum across two frequency bands: 40 MHz in the 2.3 GHz band, which will be used to increase 4G mobile broadband capacity; and 150 MHz in 3.4GHz, which has been earmarked for 5G. EE won 40 MHz of 3.4 GHz spectrum at a cost of £302,592,000. Hutchison 3G UK won 20 MHz of 3.4 GHz spectrum at a cost of £151,296,000. Telefónica UK won all 40 MHz of 2.3 GHz spectrum available, at a cost of £205,896,000; and 40 MHz of 3.4 GHz spectrum at a cost of £317,720,000. Vodafone won 50 MHz of 3.4 GHz spectrum at a cost of £378,240,000. Airspan Spectrum Holdings, which would have been a new entrant to the UK mobile market, failed to win spectrum in either band. The total value of the winning bids amounts to £1,355,744,000. Philip Marnick, Spectrum Group Director at Ofcom: "This is good news for everyone who uses their mobile phone to access the internet. As a nation, we’re using ever more mobile data on smartphones and mobile devices. Releasing these airwaves will make it quicker and easier to get online on the move. It will also allow companies to prepare for 5G mobile, paving the way for a range of smart, connected devices." Ofcom, the official telecoms regulator in the U.K., has commenced an auction to release more airwaves to improve mobile broadband capacity, and help prepare for future 5G services. A total of 190 MHz of spectrum is being sold across two frequency bands: 40 MHz in the 2.3 GHz band, which will be used to increase mobile broadband capacity for today’s users; and 150 MHz in 3.4GHz, which has been earmarked for 5G. Five companies have been approved to bid in the auction: Airspan Spectrum Holdings Ltd; EE Limited; Hutchison 3G UK Limited; Telefonica UK Limited and Vodafone Limited. The length of the auction depends on the level of bidding activity. There is a £70m reserve price, with the value increasing round by round as bids are made. Intelsat and SES last week both agreed to back a proposal to the U.S. Federal Communications Commission (FCC) the seeks to protect satellite services in the 3700-4200 MHz C-band downlink spectrum while opening a specified portion of that spectrum for terrestrial mobile use. 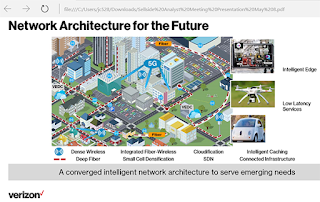 The companies said their joint proposal sets a commercial and technical framework that would enable wireless operators to quickly access approximately 100 MHz of nationwide C-band downlink spectrum in the United States, speeding the deployment of next-generation 5G services. The idea builds on an innovative model first put forward to the FCC by Intelsat and Intel in October 2017 for spectrum sharing. Under the proposal, a consortium of satellite operators would be created to oversee the governance of the initiative, define and implement the methodology for spectrum clearance, and serve as the sole interface for market-based transactions with parties interested in deploying terrestrial mobile services in specific portions of the C-band. “The C-band is and remains a critical component of the U.S. network architecture. Space and ground segment operators have invested billions of dollars in U.S. C-band networks and connectivity and generate important value out of it. It is, therefore, our duty and mission to protect the C-band in the U.S. from any form of disruption and preserve its use,” stated Karim Michel Sabbagh, President and CEO of SES. "Our proposed market-based solution provides a speedy resolution to the U.S. objective of accelerating deployment of 5G services. With Intelsat and SES now in agreement on major tenets of the framework and with the support of Intel, we are confident in our ability to implement this proposal quickly and efficiently, ultimately to the benefit of American consumers and the U.S. economy,” said Intelsat CEO Stephen Spengler. Ten baseline specifications for commercial operations within the 3.5 GHz Citizens Broadband Radio Service (CBRS) band are now ready to go. In April 2015, the U.S. Federal Communications Commission (FCC) adopted rules for CBRS, which opens 150 MHz of spectrum (3550-3700 MHz) for commercial use — while providing necessary protection of incumbent users of the band. Spectrum access is actively coordinated based on priority and granular location, making previously allocated spectrum available to new entrants and services. The Wireless Innovation Forum (WInnForum) said this watershed event allows the finalization of CBRS products already in various levels of testing and sets the stage for the rollout of commercial CBRS networks. Google: "Completion of these standards demonstrates that it is now possible to make major changes in how we approach managing spectrum resources to provide the abundant bandwidth essential to our society,” said Eric Schmidt, Executive Chairman of Google parent company Alphabet Inc. “This accomplishment shows that flexible, cloud-based management can enable spectrum to be used for many purposes simultaneously, and relegate the exclusive, command and control vision of spectrum allocation to history." We will be hearing a lot about extending 4G LTE into new spectrum bands in the coming year even as 5G trials and pre-standard commercial deployments get underway in 2018. Repurposing the 600 MHz band. In August 2016, T-Mobile US lit up the first base stations using its newly acquired 600 MHz spectrum become the first mobile operator worldwide to activate commercial LTE service using this frequency band. A second 600 MHz location was activated in Scarborough, Maine about 2 weeks later and T-Mobile now says it is on track to light up 600 MHz cell sites in rural locations across the United States over the coming months. T-Mobile’s 600 MHz rollout is interesting on a couple of fronts. First, the pace of the rollout is impressive. The first activation, which occurred in Cheyenne, Wyoming, came only two months after T-Mobile received its spectrum licenses from the FCC. Most of the spectrum licenses were previously held by broadcasters, such as public TV stations, or educational or religious entities which in the days before the commercial Internet really took off had once imagined a future where they would be broadcasting TV directly consumers in their local market. In rural areas, at least, it is proving easier to clear the spectrum for T-Mobile. Second, T-Mobile now has plenty of 600 MHz licenses, which it acquired in the FCC’ Broadcast Incentive Auction in April for $7.99 billion, covering all of the U.S. and Puerto Rico. T-Mobile acquired 31 MHz of spectrum nationwide on average, quadrupling its low-band holdings, for a total of $7.99 billion. With the purchase, T-Mobile claims to hold more low-band spectrum per customer than any other major provider, and nearly 3x the low-band spectrum per customer held by Verizon, which did not bid in the auction to the surprise of many observers. Other companies picking up 600 MHz spectrum in that auction were Parker B Wireless (Dish Network) $6.2 billion; CC Wireless Investment (Comcast) $1.7 billion; AT&T $902 million; Channel 51 $859 million; Bluewater Wireless $568 million; US Cellular 329 million; NewLevel $296 million; Tsar 600 $131 million; and Omega Wireless $99.7 million. There was a handful of other local or regional auction winner, implying that some deal-making is likely. Third, 600 MHz will provide great building penetration and range. It also will be instrumental to T-Mobile’s 5G strategy. In addition to the 600 MHz bands, T-Mobile has 200 MHz of spectrum in the 28/39 GHz bands covering nearly 100 million people in major metros. The company says both resources will be used for 5G. In various company blog posts, T-Mobile argues that 5G should not be equated only with high-band, or millimeter wave, spectrum, even though these bands support massive throughput capacity. The limited range of the 28/39 GHz bands means that vast numbers of small cells will be required for ubiquitous coverage which will be a major capital expenditure. Fourth, LV’s V30 announced at the end of August is the first smartphone to support 600 MHz LTE. Qualcomm has said that its Snapdragon X20 and X16 modems support 600 MHz. We don’t know yet whether the upcoming iPhones will support 600 MHz – it could be a game changer either way. If yes, it could be a home run for T-Mobile. If no, it could be a big strike-out. GSA (the Global mobile Suppliers Association) recently reported that Argentina, Canada, Mexico and New Zealand are considering re-purposing and re-licensing 600 MHz spectrum in a similar fashion. Another area of activity around the world is 450 MHz, otherwise known as Band 31, which was widely used for CDMA networks. GSA tracks over 100 CDMA networks worldwide that relied on Band 31 for wide area reach and in-building penetration. The first carriers began deactivating CDMA 450 in 2014. Currently, GSA counts ten networks that have re-farmed this spectrum to extend their LTE coverage. Lots of activity around 5G in the “mid-bands” of 3.5 GHz spectrum is underway in carrier test labs and with regulators, including the FCC. In April 2015, the U.S. Federal Communications Commission (FCC) adopted rules for CBRS, which opens 150 MHz of spectrum (3550-3700 MHz) for commercial use — while providing necessary protection of incumbent users of the band. Spectrum access is actively coordinated based on priority and granular location, making previously allocated spectrum available to new entrants and services. In 2016, the Citizens Broadband Radio Service (CBRS) Alliance was formed with the goal of making LTE-based solutions in the 3.5 GHz CBRS band widely available, Big name players are backing this initiative, including AT&T, American Tower, CableLabs, Intel, Nokia, ZTE, and others. Another big milestone for 3.5 GHz spectrum came in late August, when Verizon, Ericsson, Qualcomm, and Federated Wireless demonstrated LTE Advanced carrier aggregation using CBRS band 48 spectrum. The demo, which was conducted in an Ericsson lab in Plano, Texas included the end-to-end CBRS communication flow, using 2x20 MHz LTE carriers on the CBRS band 48, and employing a 256 QAM modulation in the downlink. Ericsson provided the band 48 Radio Dot System and Domain Proxy for communication with Federated SAS. Qualcomm Technologies provided a Qualcomm Snapdragon LTE modem test device, and Federated Wireless provided the spectrum management service with their Spectrum Controller. A month earlier, in July 2017, ZTE and China Unicom announced a field test in Shenzhen that achieved data rates of up to 2 Gbit/s using the 3.5 GHz frequency band with a 100 MHz bandwidth. This test was conducted by ZTE working with the Guangdong branch of China Unicom and the operator's network construction department and the China Unicom Network Technology Research Institute. 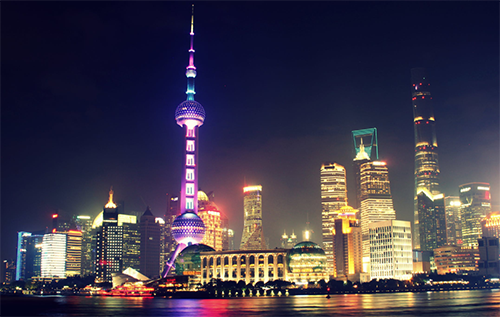 The field test was designed to verify the 5G technical performance and product commercial capabilities in a live network environment and builds on the established partnership for 5G network development between China Unicom and ZTE. After several years of incubation, Licensed Assisted Access (LAA) appears to be on the cusp of commercial rollout. The magic with LAA is that it enables operators to use unlicensed spectrum in combination with licensed bands. It co-exists with Wi-Fi and other unlicensed spectrum technologies using 'listen before talk', which promises fair coexistence, Multiple carriers are the world are now trialling LTE-LAA or beginning commercial rollouts, boasting of downlink speeds nearing the gigabit mark. In June, AT&T and Ericsson conducted a live LTE-LAA technology field trial, during which initial wireless data rates of more than 650 Mbps were achieved in downtown San Francisco. Also in June, T-Mobile completed the nation’s first mobile broadband data session live in the field using License Assisted Access (LAA) on its commercial network. Italian operator TIM has achieved speeds of nearly 1Gbps on its live advanced 4G network in Milan using Ericsson’s LAA technology. In addition, Ericsson, Verizon and Qualcomm have reported downlink performance of 953 Mbps in a joint commercial network deployment in Boca Raton, Florida. According to ABI Research's latest Network Evolution in Unlicensed and Shared Spectrum report, which explores the use of unlicensed and shared spectrum, technologies enabling the utilisation of this spectrum type are not only attracting interest from established mobile network operators for low cost network densification, but also from new entrants to the market. ABI finds that this interest is due to the opportunities that the network technologies offer for densification, neutral hosts, as well as enterprise and private network operators. The research firm predicts that new LTE unlicensed and shared spectrum technologies will create a $1.7 billion hardware market over the next 5 years encompassing LTE Unlicensed, CBRS (citizens broadband radio service) and MulteFire technology. ABI notes that as a result of the power restrictions inherent with unlicensed and shared spectrum, the technologies are most suitable for small cell indoor or venue deployments. Based on low or no spectrum acquisition costs, plus deployment economics comparable to WiFi, ABI forecasts that demand for in-building wireless penetration in the mid-sized and enterprise verticals will increase dramatically and account for more than half of in-building small cell shipments in 2021. The research firm reports that numerous companies are developing in technology in this area, ranging from the Spectrum Access System (SAS) providers and Environmental Sensing Capability (ESC) operators for CBRS, including Alphabet, CommScope, Federated Wireless, to small cell and infrastructure vendors such as BaiCells, Casa Systems, Ericsson, Huawei, ip.access, Nokia, Ruckus and SpiderCloud. With regards to CBRS, which uses the 3.5 GHz band, ABI notes that an indication that the technology will transform the in-building wireless and mobile industries is that the CBRS Alliance, which advocates for CBRS technology, counts as members all four major U.S. mobile operators, namely AT&T, Verizon, T-Mobile and Sprint, as well as major MSOs, Comcast and Charter Communications, plus Google, Intel, Nokia and Qualcomm. Commenting on the report, Nick Marshall, research director at ABI Research, said, "LTE-U/LAA appeals to MNOs planning to densify but with insufficient spectrum or the capex to acquire it… while MulteFire and CBRS promise low network build-out costs with economics that threaten to disrupt the DAS market... the technologies appeal to service providers as CBRS pioneers a significant change in spectrum management…. (and) traditional spectrum refarming cannot match the mobile broadband throughput demands with the migration to 5G". Canada's Shaw Communications announced it has entered into a series of transactions designed to enhance long-term growth opportunities, specifically a share purchase agreement with GI Partners portfolio company Peak 10 to sell its subsidiary ViaWest for approximately C$2.3 billion ($1.675 billion) and an agreement with Quebecor Media to acquire 700 MHz and 2,500 MHz wireless spectrum licences for $430 million. ViaWest is a provider of hybrid IT solutions including colocation, cloud computing and security and compliance for North American enterprises. Under the agreement, ViaWest is being acquired by Peak 10 for approximately C$2.3 billion. Shaw noted that it originally invested $1.2 billion (approximately C$1.3 billion at the exchange rate at the time) in the operation. Shaw expects to realise net cash proceeds from the ViaWest transaction of approximately C$900 million after the repayment of ViaWest level indebtedness of approximately $580 million, repayment of the $380 million Shaw credit facility borrowings associated with the original investment and subsequent INetU acquisition, and estimated transaction expenses and taxes. The ViaWest transaction is subject to customary conditions, including U.S. regulatory approval, and is expected to close in fiscal year 2017, which ends in August. The transaction is not subject to a financing condition. Shaw also announced that it has entered into a definitive agreement with Quebecor Media for the acquisition of 700 MHz and 2,500 MHz wireless spectrum licences for a sum of $430 million. The spectrum licences being acquired comprise the 10 MHz licences of 700 MHz spectrum in each of British Columbia, Alberta, and Southern Ontario, as well as the 20 MHz licences of 2,500 MHz spectrum in Vancouver, Edmonton, Calgary and Toronto. In addition to the spectrum acquisition cost, capex associated with the deployment of the acquired spectrum are estimated at approximately C$350 million. The company expects the bulk of the capital for the network build to be incurred during fiscal 2018. The spectrum transaction will be funded using a combination of cash proceeds from the ViaWest transaction, cash on hand and/or Shaw's existing credit facility. The company stated that the spectrum transaction is subject to customary closing conditions and regulatory approvals from the Ministry of Innovation, Science and Economic Development Canada (ISED) and under the Competition Act. The transaction has received all required internal approvals at Shaw and Quebecor and is not subject to approval by the shareholders of Shaw or further approval by shareholders of Quebecor. The transaction is expected to close in the summer 2017. Regarding the transactions, Brad Shaw, CEO of Shaw, said, "With the acquisition of WIND, now Freedom Mobile, in 2016, Shaw has more synergistic investment opportunities as a leading enhanced connectivity provider in its Canadian footprint… I believe this incremental investment in the wireless business, particularly the addition of 700 MHz spectrum, will materially improve the long-term wireless customer experience and further enable Shaw to offer converged network solutions…". Straight Path Communications has announced a definitive merger agreement under which Verizon Communications will acquire Straight Path for $184.00 per share, equating to an enterprise value of approximately $3.1 billion, in an all-stock transaction. Straight Path holds an extensive portfolio of 39 GHz and 28 GHz wireless spectrum licenses, specifically 868 FCC spectrum licenses providing wireless coverage across the U.S. The company also develops next generation wireless technology through its Straight Path Ventures subsidiary, and holds licenses and conducts business related to certain patents via its Straight Path IP Group subsidiary. Concurrent with the agreement, Verizon will pay on behalf of Straight Path a termination fee of $38 million to AT&T, which on April 10th announced an agreement to acquire Straight Path for $95.63 per share, representing a total value of $1.6 billion. The sum implied a premium of 204% to the closing price of Straight Path's stock of $31.41 on January 11th and a 162% premium to the $36.48 price on April 7th. As part of the agreement with Verizon, Straight Path announced that it is terminating the previously announced definitive agreement to merge with AT&T and Switchback Merger Sub. As previously announced, the Straight Path board determined after consultations with financial and legal advisors that the transaction with Verizon constituted a superior proposal. AT&T opted not to make any new bids or proposals to Straight Path or to propose amendments to the original agreement. The acquisition of Straight Path for $184.00 per share in Verizon stock implies a premium of 486% to the closing price of Straight Path common stock of $31.41 on January 11, 2017, the day prior to Straight Path announcing its FCC settlement and strategic alternatives process, and a 404% premium to the closing stock price of $36.48 on April 7th, the business day prior to announcement of the AT&T merger agreement. The proposed transaction has been approved by the boards of directors of Straight Path and Verizon, and the companies currently anticipate closing within nine months, subject to FCC review. The transaction is supported by Straight Path's majority shareholder, Howard Jonas, who has entered into a voting agreement with Verizon and agreed to vote his Class A shares in support of the transaction. Regarding the acquisition, Hans Vestberg, EVP and president of global network and technology at Verizon, said, "Verizon now has all of the pieces in place to accelerate the deployment of 5G… combined with the recent transactions with Corning, XO Communications and Prysmian Group, this is another step to build the next-generation network for its customers". Vodafone Turkey and Huawei announced they have completed what they claim is the first verification of the GL spectrum sharing solution on Vodafone's commercial 900 MHz networks in the city of Diyarbakir in Turkey. This solution, developed through a collaboration on spectrum sharing capabilities between Huawei Mobile Innovation Centre and Vodafone Networks CoE (Center of Excellence), enables spectrum sharing between GSM and LTE with a high degree of overlap between the two technologies. The technology improves both LTE data rate and cell capacity available in the 900 MHz spectrum allocation from Vodafone Turkey. Huawei claims that compared to LTE 5 MHz performance, the GL technology enables average user data throughput to be increased by nearly 58% on the downlink and 44% on the uplink. Vodafone Turkey launched its 4.5G network for commercial use in April 2016 and claims to offer the largest 4.5G coverage in Turkey, currently serving over 8 million LTE customers. Subsequently, as more users migrate to LTE the effective allocation of spectrum resources to support increasing LTE data traffic has become a priority for Vodafone Turkey. 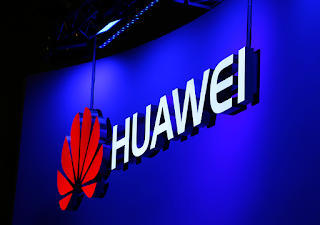 The GL spectrum sharing solution features Huawei's proprietary algorithms, which are designed to free operators from the restrictions of standard LTE bandwidth. The Huawei solution ensures that scattered spectrum resources are utilised more effectively to enable higher data rates and an enhanced user experience. By providing more flexibility in terms of the resource block allocation and spectrum allocation effectively used by LTE the GL technology also maintains sufficient GSM channels to carry 2G CS traffic. In February, Huawei, Vodafone and Qualcomm Technologies announced they had jointly created in Turkey what they claimed was the first network ready to use Licensed-Assisted Access (LAA) technology, based on the 3GPP R13 standard. LAA is designed to help improve the user experience by enabling faster download speeds. 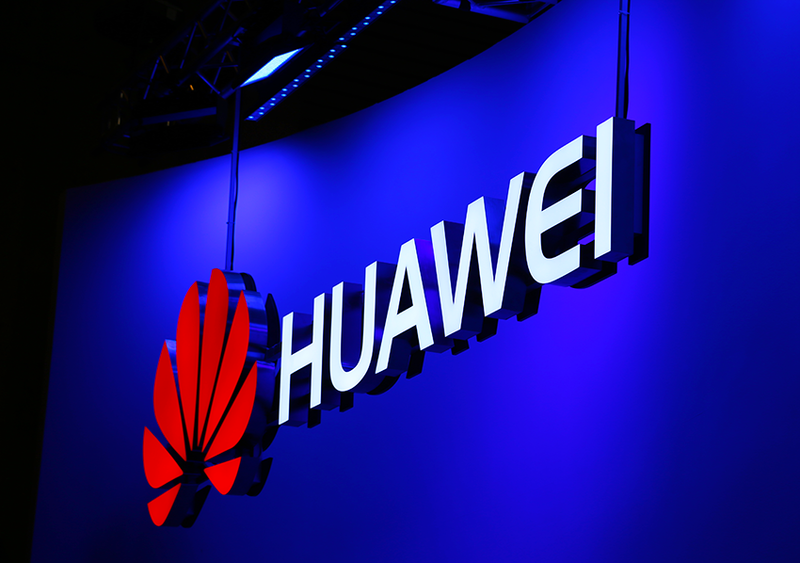 In 2016, Huawei announced that its Active Antenna Unit (AAU) solution was supporting Turkey's deployment of 4.5G networks to enable enhanced mobile broadband (MBB) services. Turkey launched its large-scale plan for the evolution from 3G to 4.5G networks in 2015 and released the first 4.5G spectrum license in August of that year.